While the original deadline for selection passed, technical difficulties led to an extension until Feb 7th. With the way Marriott’s IT has been, I wouldn’t wait to the last second. Consider Feb 6th your deadline. If you closed 2018 within 5 nights of Platinum Premier or Platinum Premier with Ambassador, you likely want the 5 elite night credits. Those would still apply to 2018 and bump your status level. 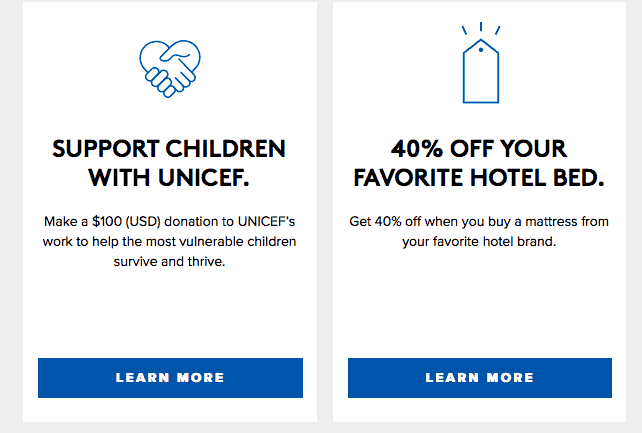 In fact, if you had 71-74 nights and choose the 5 elite nights, you’d then get Platinum Premier (soon to be Titanium status) and another Choice Benefit choice. 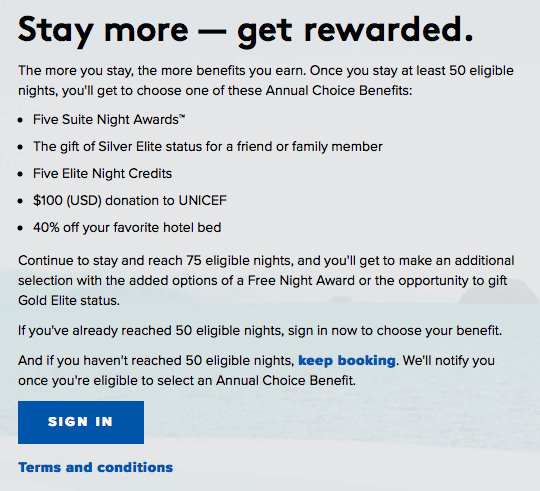 Note that the Suite Night Awards and Free Nights can apparently take up to two weeks to be deposited, although it may not take that long in practice. SNAs chosen this year expire Dec 31, 2019. The free night (up to 40k) will also expire Dec 31, 2019. What if a Platinum Elite or Platinum Premier Elite Annual Choice Benefit selection is not made? 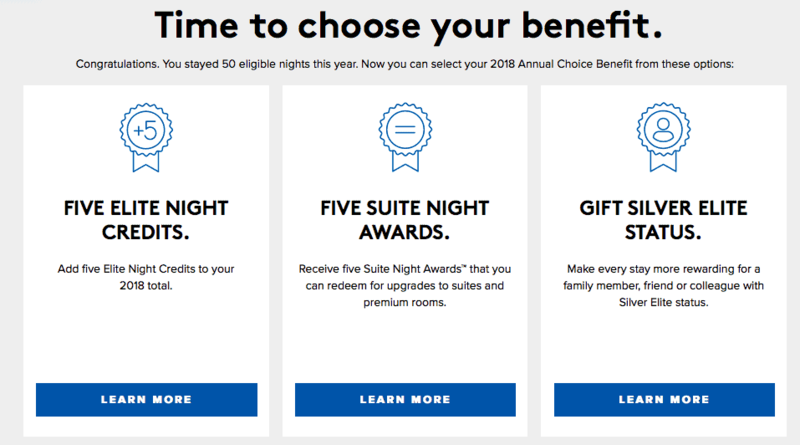 If a Platinum Elite Annual Choice Benefit or Platinum Premier Elite Annual Choice Benefit is not selected by January 14 Feb 7 this year – of the year after the benefit is earned, 5 Suite Night Awards will be automatically deposited into the Platinum Elite or Platinum Premier Elite Member’s account as his or her Annual Choice Benefit for that year. What did I take? I took 5 SNAs for 50 nights and the free night for 75 nights. What did you take or are you taking? Let me know here, on Twitter, or in the private MilesTalk Facebook group.